Avery was a May baby so I didn't do an overabundance of hats for her. She pretty much just wore the one the hospital gave us for a couple weeks and that was it. It was a warm summer and there was no need for hats. 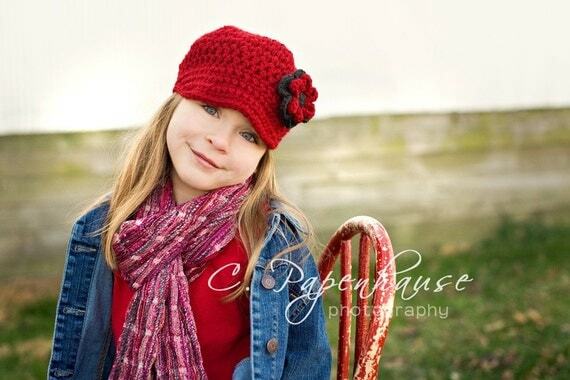 Crochet and Knit hats have become much more popular lately and mainly just for looks... But I know I'm going to need lots of hats having a winter baby this time. So I was very excited to review 2 hats from Treasured By Holly. I received a hat for Avery and a hat for Baby Boy. I will say that her Customer Service is AMAZING!!!! She sent these 2 hats, but Avery's had barely fit her. I had to really stretch it on. Her sizing seemed like it would fit Avery as she has a tiny head. Well I let her know and she told me she'd get another one out immediately. She did, but I never got it... So she made me a THIRD hat. Said she must have miscounted the stitches and she felt terrible. At that point I felt bad that she made the same hat 3 times... But I finally got the new hat (minus the flower, since I had one) and it all worked out. For a free item for review I was very happy with her customer service. I can only imagine how out of her way she'd go for an actual order!! Props!!! Anyway, these hats are constructed so nicely. I knit so I know what it should look like (although these are crochet) and her stitches are perfect! They are just beautiful. 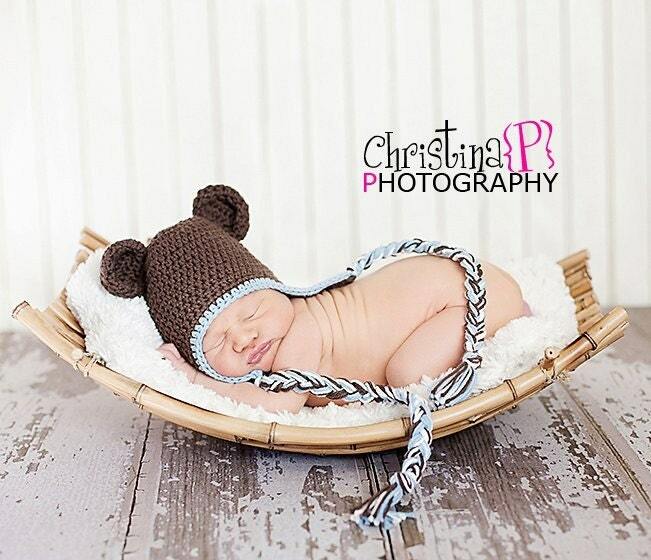 I can't wait to do his newborn photo shoot and use this hat!!! Avery's looks great on her. The new hat fits perfectly!! And the clip is adorable on the hat, left off or just in her hair alone! It's super cute!! And the color I chose will match most of Avery's wardrobe. She has so many other hats to choose from. She also has headbands, flower clips and newsboy caps. And her sizing is from Newborn all the way to adult! Price: The 2 hats I received are... Avery's hat $24 and baby boy's hat $25. Very generous. These are handmade!! 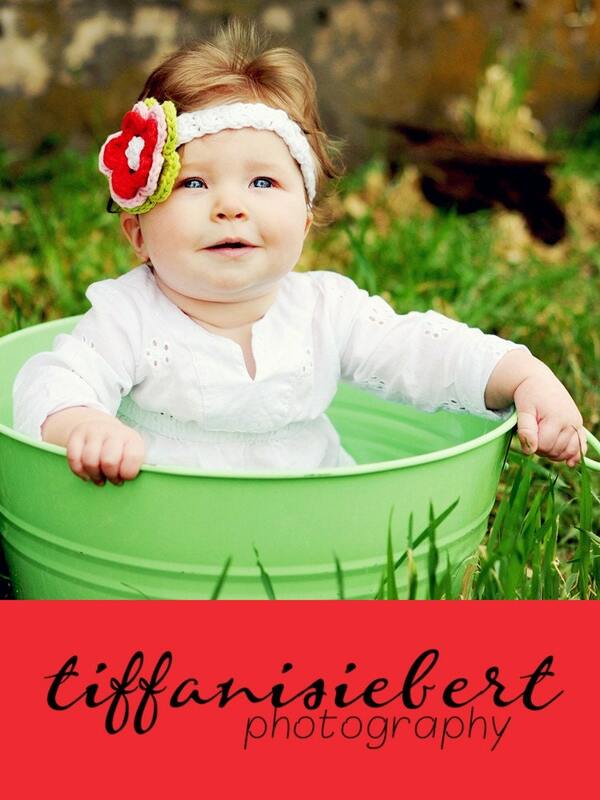 I might get the 2T-4T girl hat robins egg blue earflap beanie with cherry blossom stripe and flower for my daughter! I would get the Headband with a Felicity flower clip in Light Grape! Adorable! 12-24 mos. 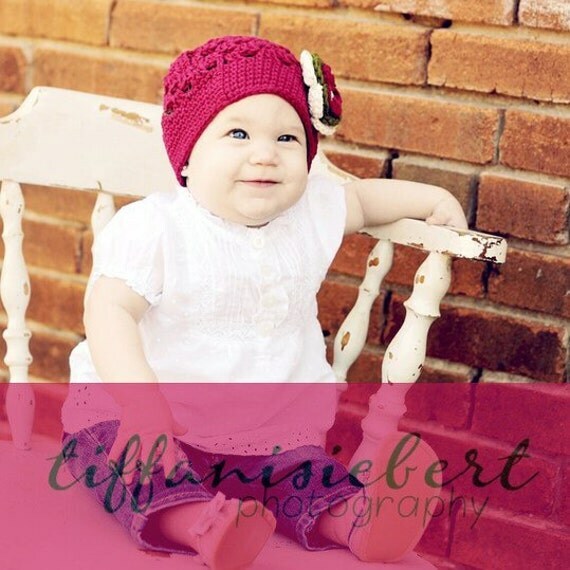 Red Ava Beanie with White Ava Flower for her little sister who turned one yr old last month. SUCH ADORABLE HATS FOR BABIES & CHILDREN! I subscribe to your blog via Feedburner. I think I would get the 5T-preteen Espresso Ava Beanie with Black Ava Flower. I like the princess tiara in light pink. I think I'd use it on a newborn Football Newsboy Cap. These are so pretty! I'd get a warm brown/ecru beanie with earflaps. Thanks! I follow your blog on GFC, subscribe to your email and like you on Facebook! I would love to win this for my son! I love the baseball newscap! It is absolutely adorable! Thanks so much for the fantastic giveaway! Her Etsy shop is closed while she is on vacation so I went to previous orders to look at her items ... 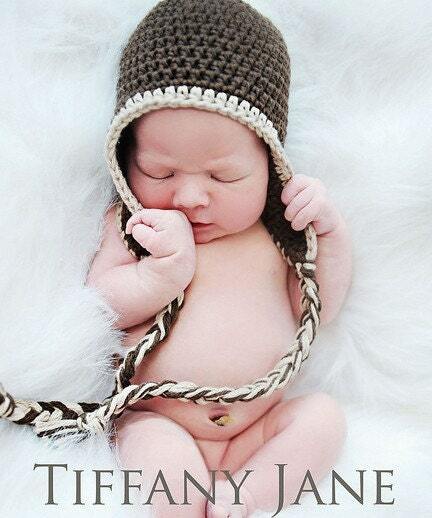 I love the Newborn Striped Elf Hat in Teal Blue and Charcoal. One of the newsboys caps! They are so cute!!! I follow you on twitter as mamagatzemeyer. I subscribe to this blog by feedburner. I would like the 5T-preteen Mod Pink Ava Beanie with Lime Ava Flower. 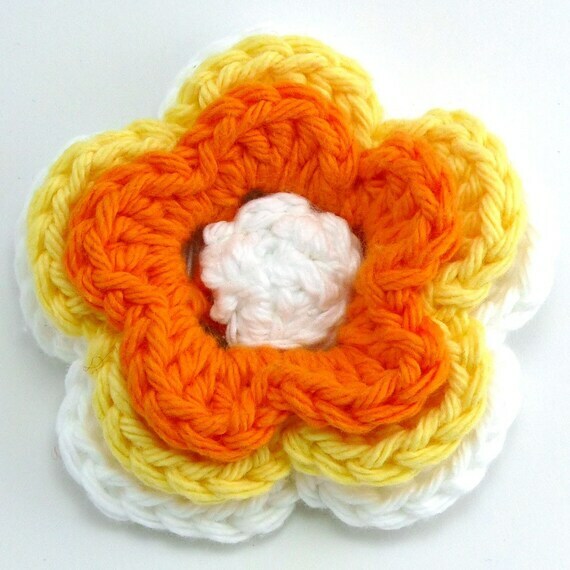 I would either use it on a crocheted headband or a newsboy cap. I would probably get the crochet newsboy cap with flower on it. So cute! I love the baseball newsboy cap, but since I have girls i think I would get the girls hat robins egg blue. I'd get the headband with an Olivia flower in Red, Yellow, Hot Green, and Turquoise; so super colorful! I follow via Google Friends Connect!